By Leila Stocker. Leila is the Founder of Turtle PR, the award-winning, London-based agency, creating fresh PR solutions for travel and lifestyle clients. A keen skier and beach lover, Leila never wants to stop exploring. Reached by a mountain train with views straight out of Narnia, Zermatt is a breath-taking Swiss ski resort. It is home to the Matterhorn, one of the highest peaks of the Alps at 4,478 metres, and with mostly red pistes, not for the faint-hearted. It borders Italy, so is ideally placed for those wishing to experience the novelty of skiing to a different country for the day. Home for the trip was The Lodge – a five-bedroom, luxuriously-appointed penthouse apartment, a short drive from the train station. 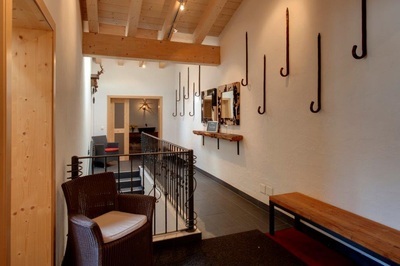 The Lodge flaunts an artistic feel, with features such as the rosewood ‘coat hook’ walking sticks, which adorn the length of the long entrance hallway. The living space offered two separate dining areas, one centred on a log burning fire with cowhide stools and the other offering comfortable high back leather chairs. Two sofa areas were positioned to admire the Matterhorn. The Lodge also has its own sauna and outdoor hot tub, both what overworked muscles need after a day carving powder. On day one we ascended the mountain by train and the usual system of chairlifts, but being Zermatt these were silver with heated seats. Our mountain guide, Donald Scott, told us where to find the best mountain lunch spots and dining establishments. Besides being the resident gourmand, Donald runs luxury chalet firm Mountain Exposure, a Swiss chalet company specialising in the resorts Zermatt and Saas Fee. On that first day we were lucky enough to ski alongside the Mountain Exposure team, so it was no surprise that we headed to the highly recommended restaurant, Heidi. A favourite with Heston Blumenthal, I opted for his usual plate and Heidi’s signature dish, the quiche with the lightest, souffléd texture. The meal finished with a shot of pear schnapps with soaked raisins. The following day we headed down the Furi run of the Klein Matterhorn-Schwarzsee. Sneaking through a glade we found a 300 year old cabin, home to another of the resort’s revered restaurants, Zum See. 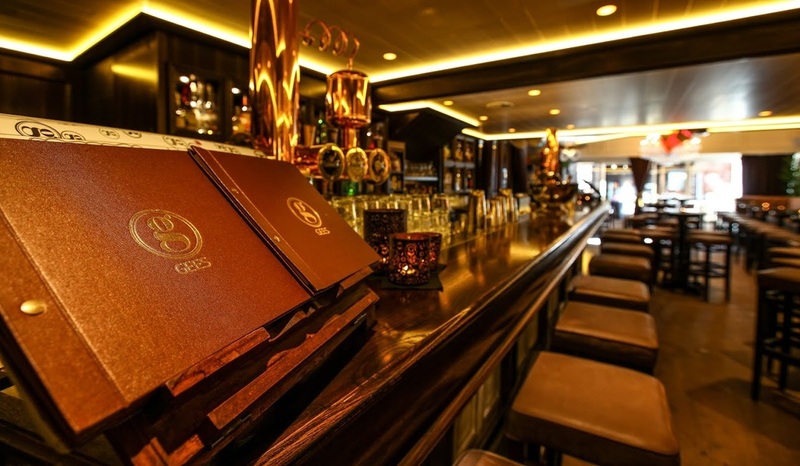 Recently awarded a Michelin star, you need to book ahead. 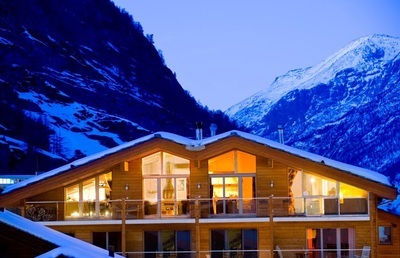 The alpine-style interior and conservatory dining deck radiate warmth and hospitality. Chef proprietor Max Henning and his wife Greti greet guests like family. Artisan breads, starters were followed by a lamb’s leaf salad with granulised egg and salad with quail eggs. Next, homemade tortellini with spinach, ricotta and herb sauce and pan fried sea bass, with potato Dauphinoise. Guiltily sharing the house speciality millefeuille with my companion, we washed down the remainder of our robust Barolo, pondering how the last three hours had disappeared. Refreshed, we powered down the slope to find Hennu Stall. Blasting Euro pop, we enjoyed this fun après ski option with Swiss bankers visiting Zermatt for the weekend. Back in town the cool crowd collected at Hotel Post. 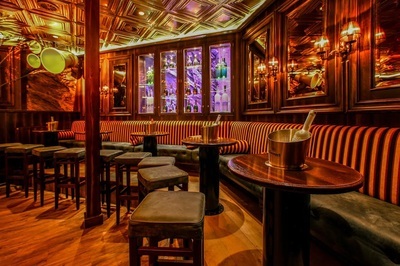 Recently renovated, the trendy establishment is home to three restaurants, four bars and an underground nightclub – each one full whenever we visited. The showstopper in Post is Portofino, its signature restaurant serving Mediterranean nouvelle cuisine in a room full of fashion-inspired art. We picked the five-course tasting menu, comprising regional plates of well thought out cuisine, each paired with an appropriate wine. Sea - tuna with an apple granita, papaya salad, edible flowers and a lime sorbet was followed by leek and truffle soup with pumpkin and shaved truffle. Next, turbot with topinambour and leek, followed by duck leg confit with slice of venison. The sublime end arrived in the form of a gingerbread crème brûlée with shortbread and spun sugar. On other visits we sampled truffle cheese fondue with porcini mushroom at Pöstli Stübli, the hotel’s traditional restaurant and Post’s Spaghetti & Pizza Factory served us fresh salads and homemade ravioli. The Snowboat was another place we were told not to miss. The upstairs cocktail bar with its funky Heinz Julen décor, mixed their signature espresso martini. Dinner in the Zermatt Yacht Club downstairs followed, where I sampled excellent chicken fajitas. As the saying goes, skiing is a dance and the mountain always leads. So the next day, as snow was too heavy, we tried Gee’s for a gourmet brunch. This all-day spot, which also offers an après-ski live band most nights, delivers the spiciest bloody Marys and most sensational eggs benedict in town. 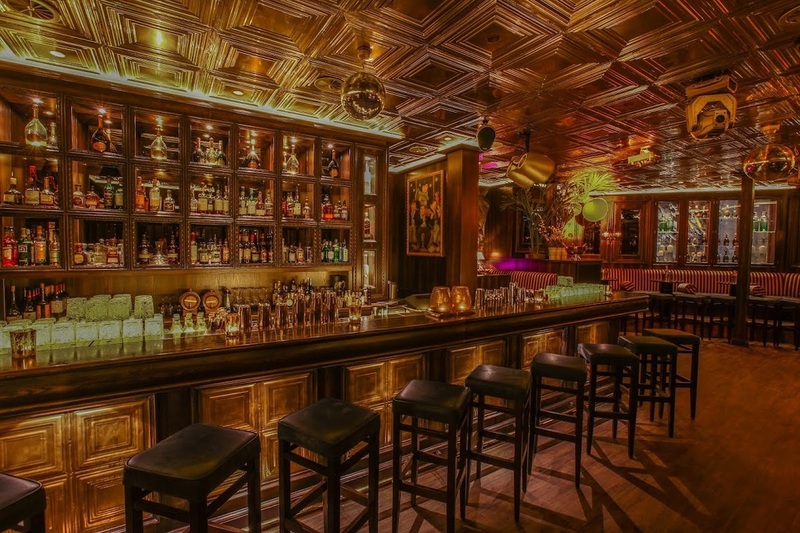 And underneath, lies the Cuckoo Club – a glamorous gin palace, complete with darkened, raised tables and plush banquettes, centred around a dance floor. 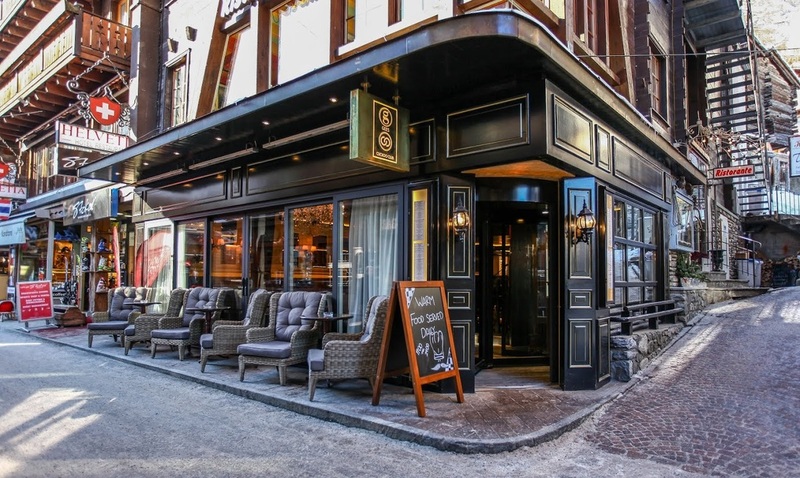 Yet despite the obvious appeal of Zermatt’s many brasseries and bistros, perhaps the ultimate luxury is to have a delicious dinner brought to your doorstep. The Lodge can be fully catered, so we decided to let chef Paul and team deliver us a feast one evening. We weren’t disappointed with the delicate canapés – served as champagne flowed, followed by tangy crab salad, sea bass en Papillote and for pudding, an Eton mess-style meringue. 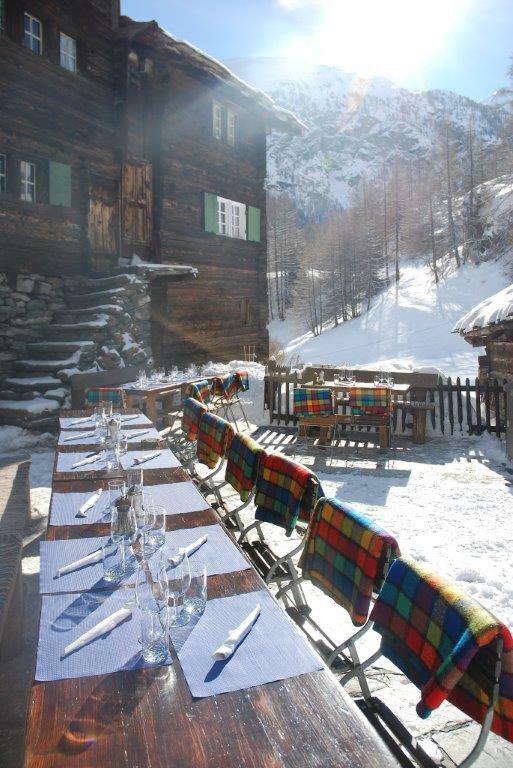 But Zermatt is not only great skiing and gourmet dining. 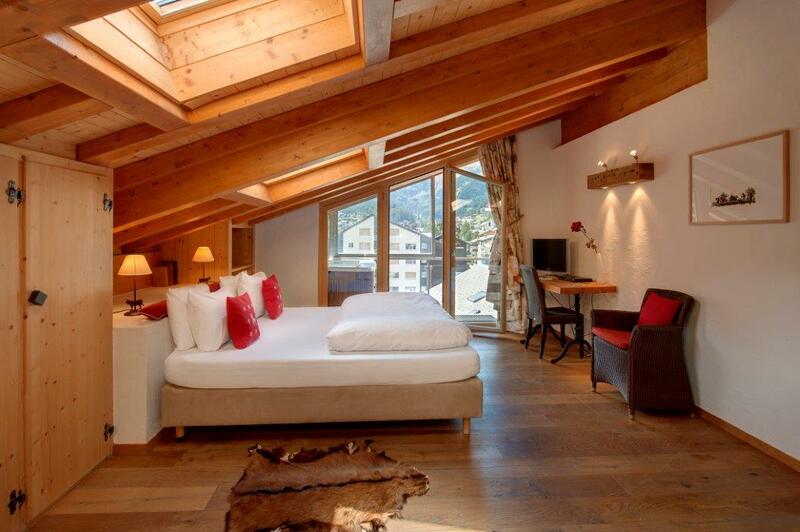 Don't miss a Tandem Paragliding Flight and visiting the Matterhorn museum, Elsie’s and the Tea Bar. As Donald finished the last of his red, he declared; ‘life is but a series of adjustments’, inspiring me to start planning my next pilgrimage to the Matterhorn.